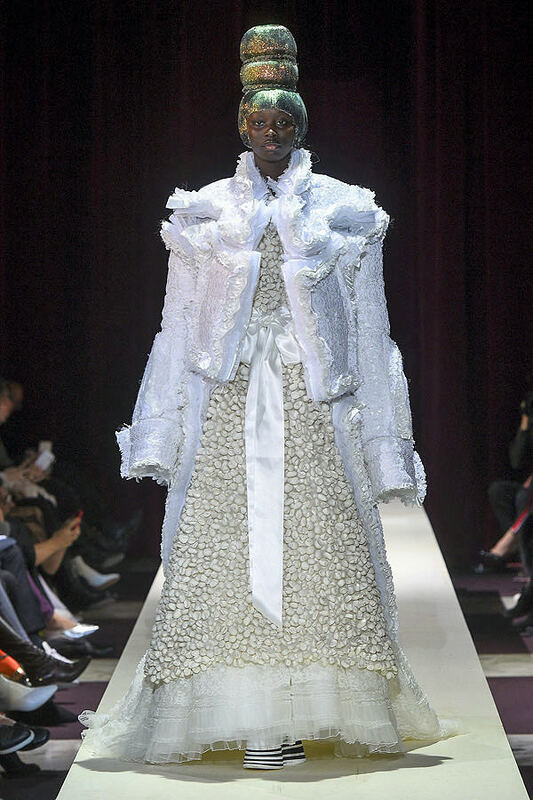 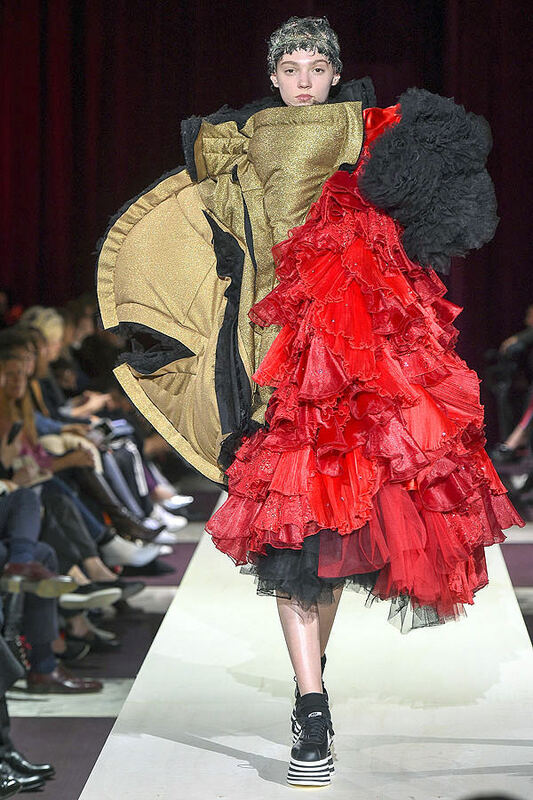 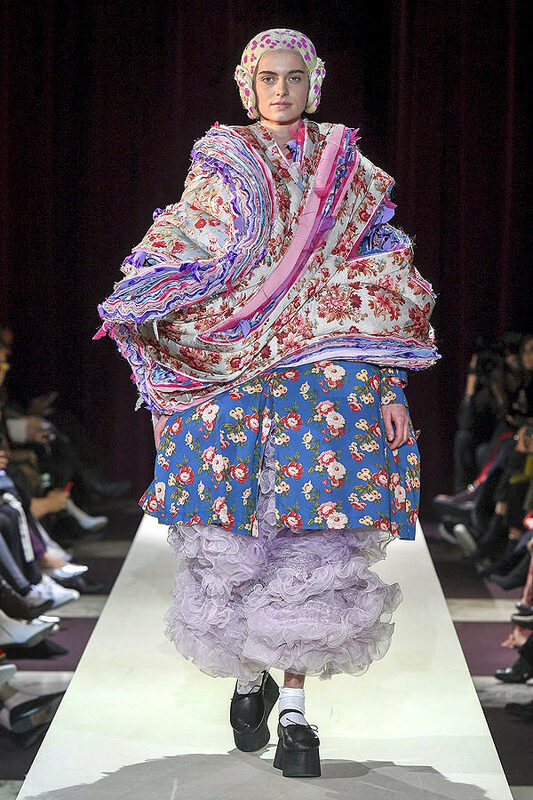 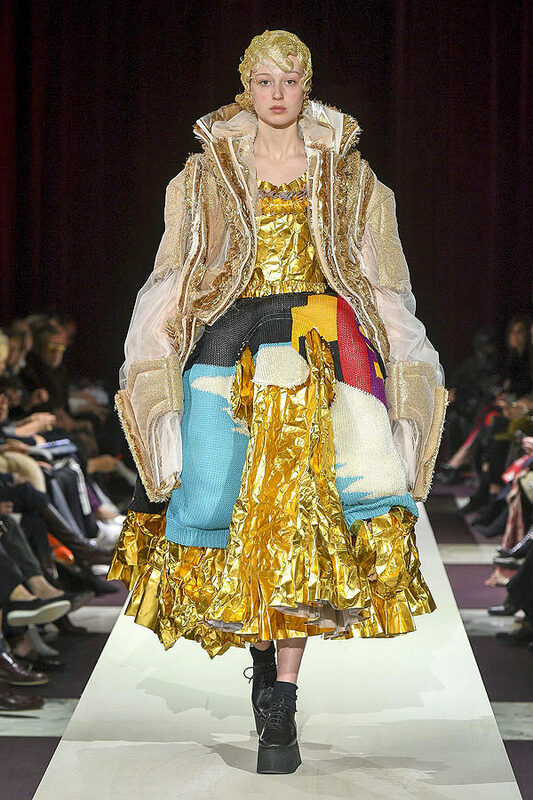 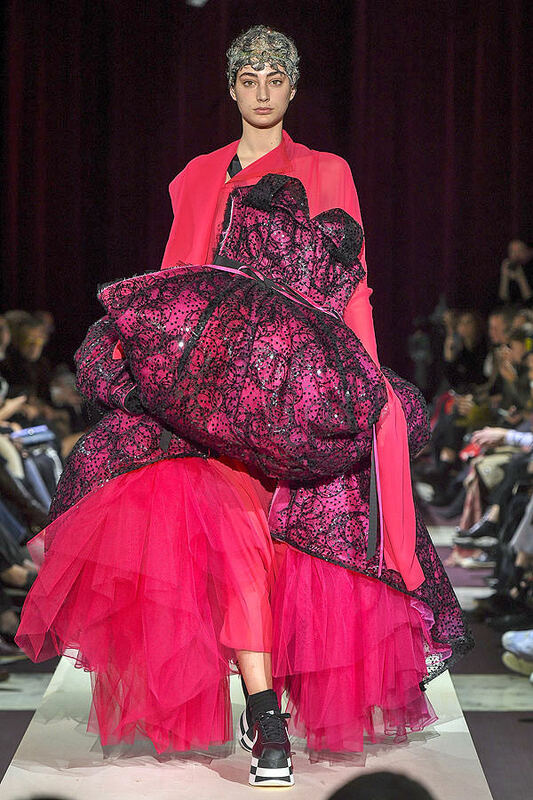 The first model came out, in regal full-length skirts over an exaggerated jacket with stacked, plasticized, glittery hair buns, to the theme from La Strada, Fellini’s masterpiece depicting the cruel life of a female clown in an abusive relationship with a circus strongman. 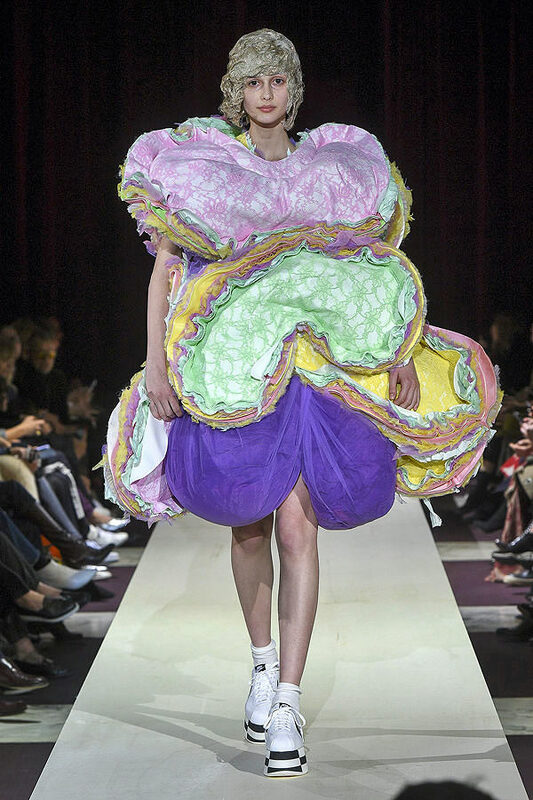 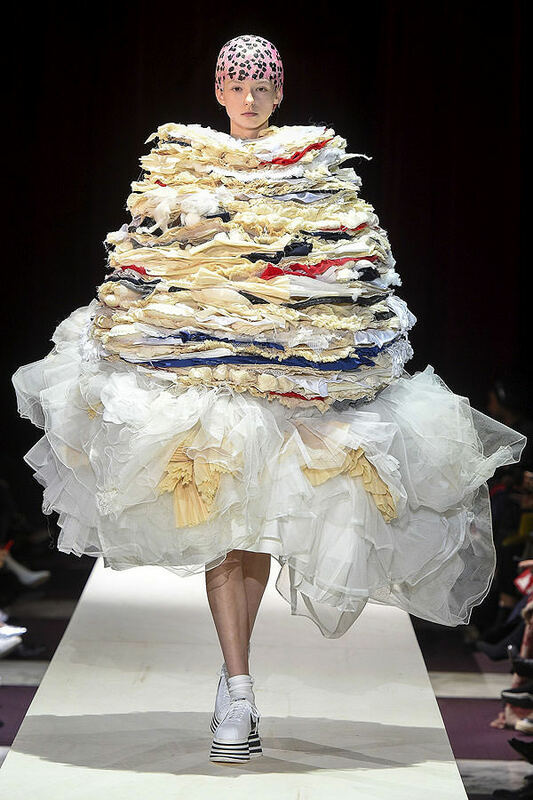 And, indeed, the circus did not stop there as the outfits became more and more extreme, models toppling into one another on the runway, resembling childlike sketches brought to life — or cakes: a pile of macaroons here, a mille-feuille there. 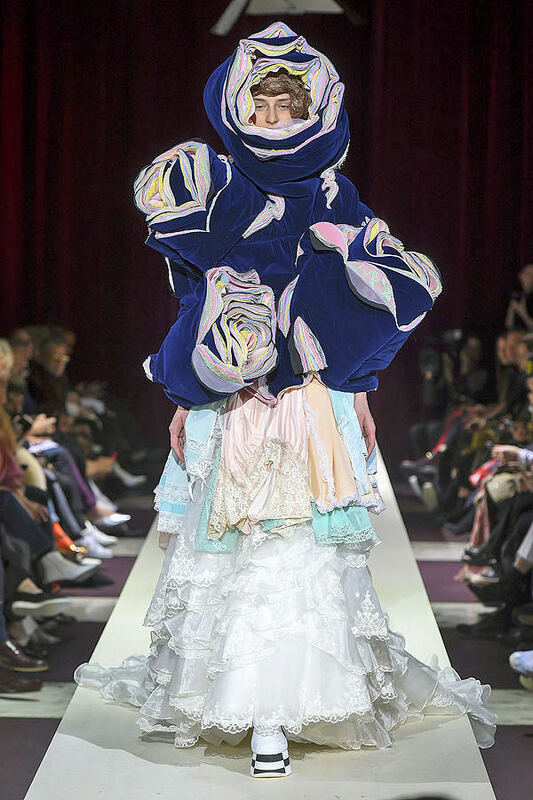 The bodies were lost in innumerable layers of fabric and wadding; tulle dresses sprouted out of sleeve heads; while sleeves themselves were completely ignored. 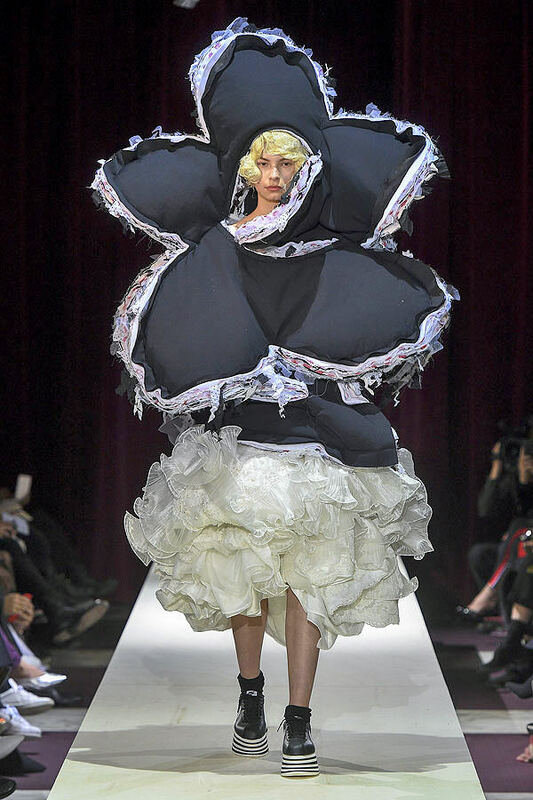 Only head holes and leg holes were maintained so that the models could propel themselves down the runway, on their flat-form Nike sneakers, hopefully not knocking each other off in the process. 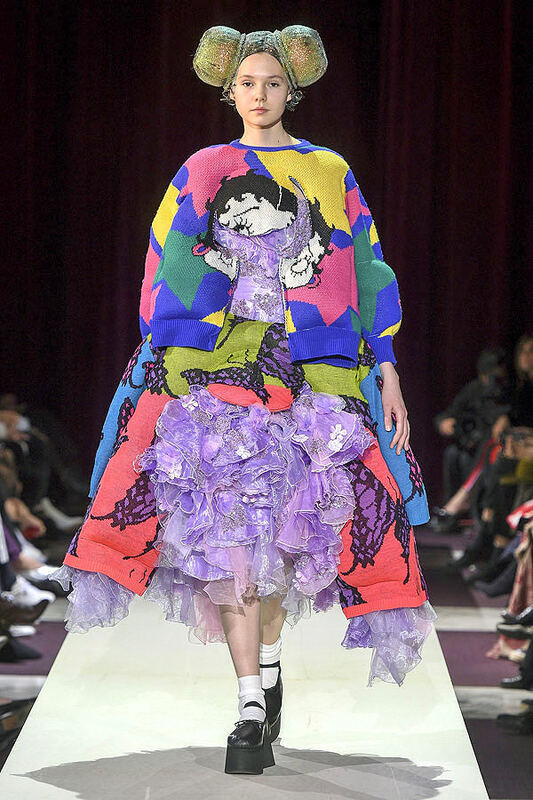 Betty Boop made a cameo on a padded knit sweater that was dissected and splayed across the chest of one outfit with what looked like a lilac princess dress forcing its way through Betty’s face. 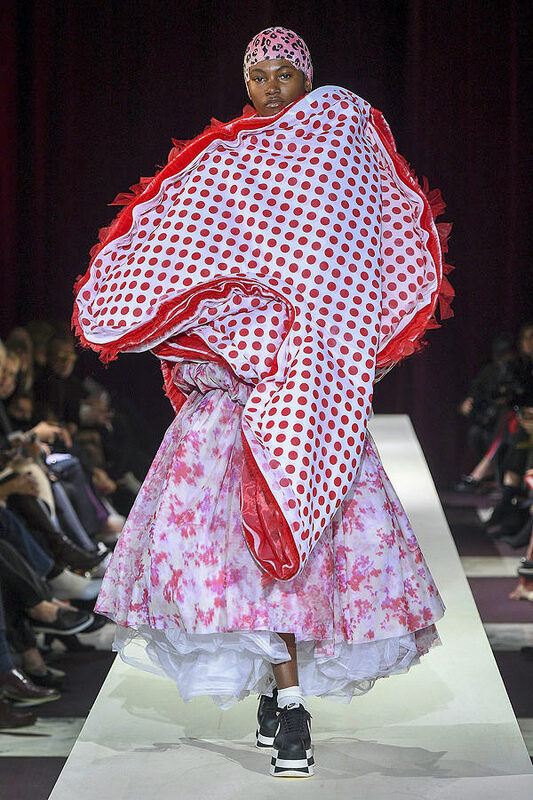 Betty Boop was one of the first sexualized female cartoon characters, and her storylines often saw her fighting off sexual harassment, which led her to become a feminist icon. 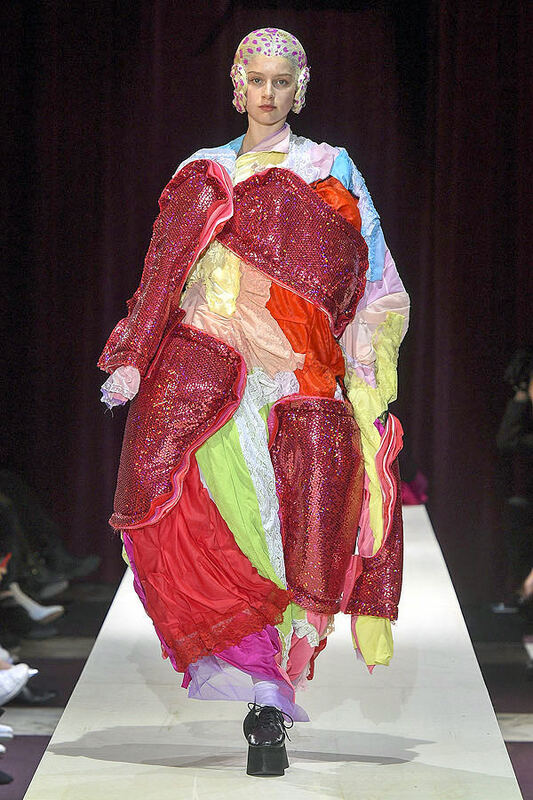 Her cameo seemed fitting in our current Me Too climate, and seeing how fashion is finally having to account for its own despicable actions. 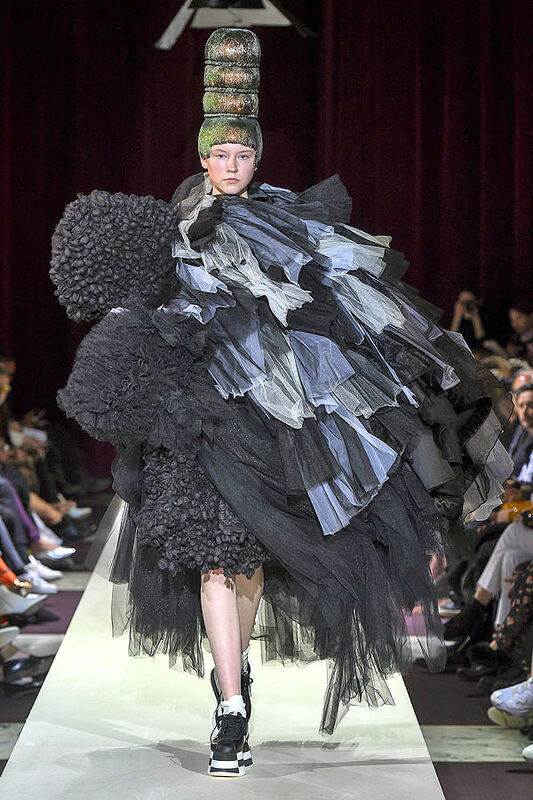 Rei Kawakubo, fashion’s leading lady, put her best foot forward and told it like it is. 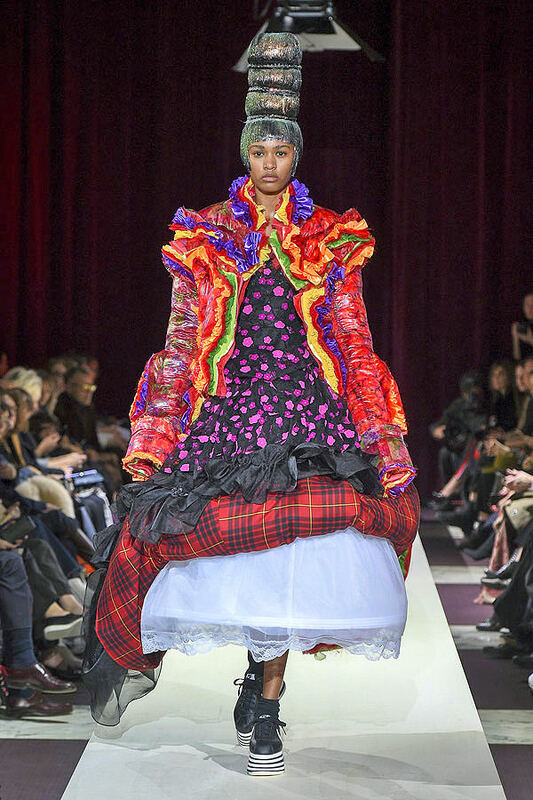 She brought her fashion circus to town and stunned the room into silence — you could've heard a pin drop the whole way through.